I have made good progress on the Semi-Hemi Sweptline project the last couple of months, but I can’t move the truck outside to test the operation of the rebuilt transmission because the brake pedal goes to the floor. I installed a new master cylinder and brake booster when I was doing the work under the hood and now it’s time to go through the brake system. I thought about converting to disc brakes on the front, but at this point with the time and expense already in this project I opted to stay with drum brakes for now. When I bought the truck the previous owner had new brake shoes for the front and rear, and all the hardware in a box, so that’s a good start. 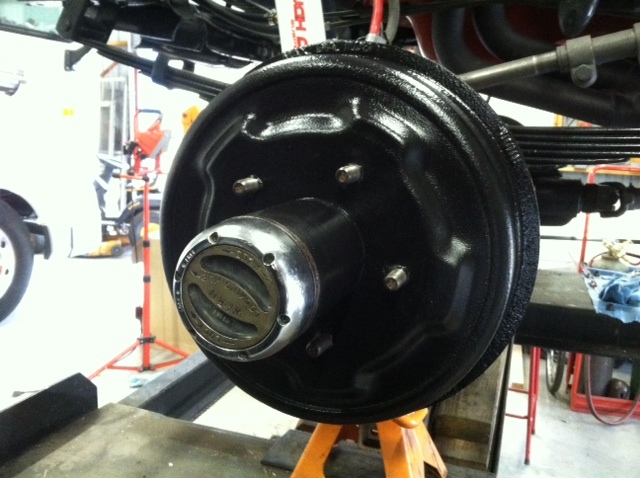 I started with the rear brakes. After removing the brake drums I found one reason the brake pedal was going to the floor; there was a wheel cylinder leaking at the left rear wheel position. I figured this would put a halt to any progress I was making since 9 out of 10 parts you need for this truck need to be ordered, but with one phone call I lucked out and located the one and only rear wheel cylinder in stock at a local parts store. 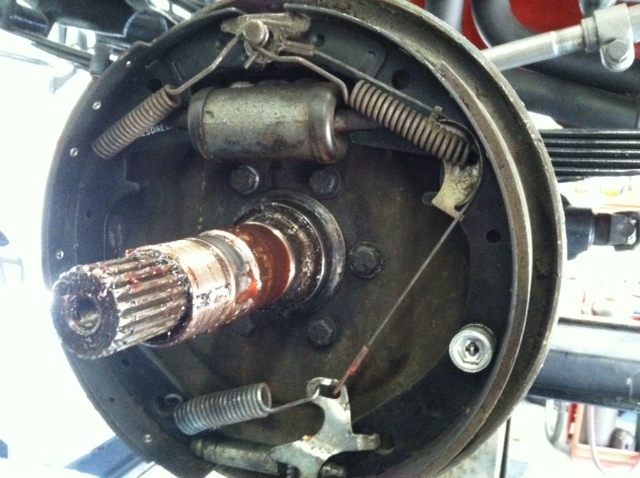 When I initially removed the rear brake drums I was expecing the worst, but to my surprise the drums were in good shape. There were no grooves or gouges in the surface of the drums and there was plenty of metal left so I cleaned, sanded, primed and painted them so they could dry while I reassembled the rear brake shoes. With the old brakes removed and the parts on hand I cleaned the backing plates and started installing the new shoes and hardware kit. The rear brakes went together without a hitch except for not having the proper tools for the job. If you ever installed brake springs and brake hardware using pliers and screwdrivers you know what I mean. With the rear brakes done it was time to move to the front. The front brakes were another story. The brake drums are attached to the front 4X4 locking hub assemblies so I had to disassemble the Warn hubs to get the drums off. I’m glad I did though because it gave me a chance to inspect all the parts inside the hubs and repack the ftront wheel bearings. One of the brake drums had a bad rear wheel seal and grease soaked into the brake shoes so everything needed to be replaced. 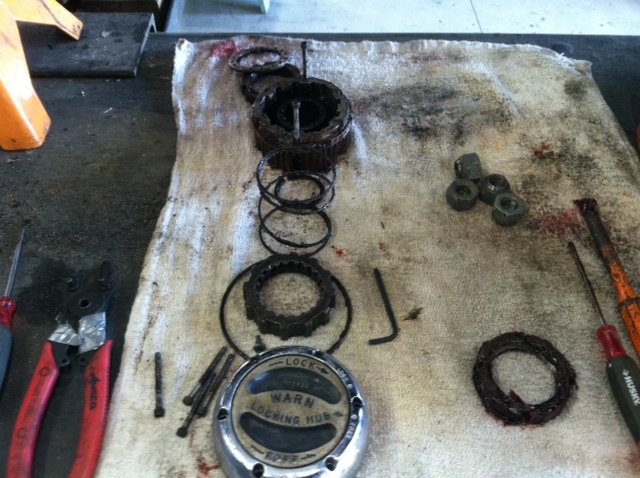 On the opposite side one of the pistons in the wheel cylinder was froze up and needed to be replaced. 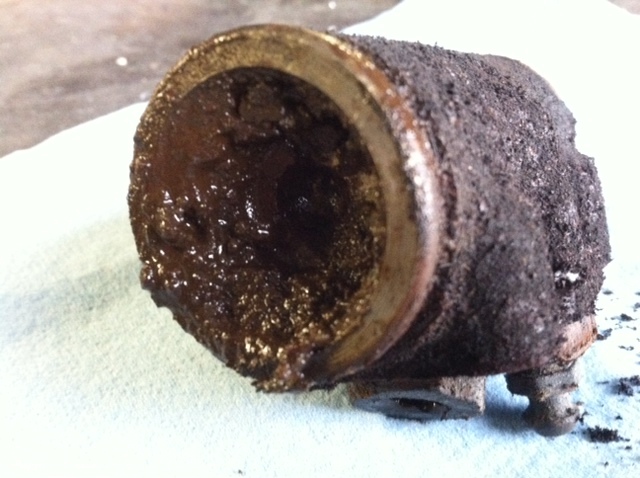 This is why you always take a minute to pull the rubber dust caps back on the wheel cylinder and take a look inside. It took awhile to find a front wheel cylinder in stock at a local parts store but eventually I did. 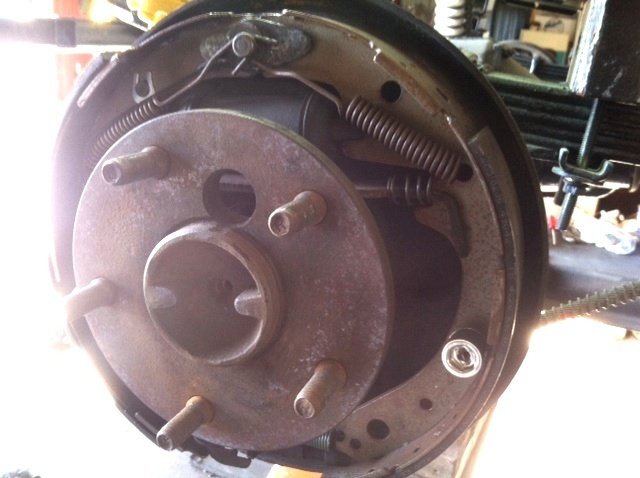 I removed the old brake shoes and cleaned everything up. When that was done I replaced the brake shoes and brake hardware on both sides , inspected and repacked the wheel bearings and replaced the wheel seals. 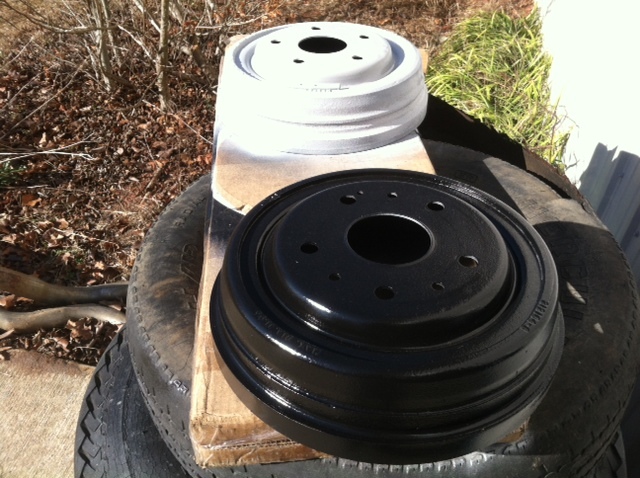 Finally I cleaned, sanded, primed and painted the brake drums and reassembled the front hubs. 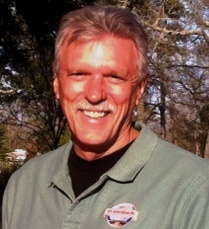 When I replaced the master cylinder I flushed out all of the old brake fluid and with the new brakes installed I bled the entire system. Now the Semi Hemi Sweptline has a brand new pair of shoes. Now it’s time to install the driver’s side fender, hood and the doors. I’ll keep you posted.